Video game live streaming rose to prominence with the popularity of platforms like Twitch. Watching video games remained popular since the inception of games. However, the this eventually evolved into a spectator sport. Arcades once reigned supreme as an arena for game watching. Yet the rise of the internet launched game live streaming How to Live Stream Your Gaming Sessions How to Live Stream Your Gaming Sessions As we enter our month of gaming giveaways, it seems only appropriate that we look at the delicate art of live streaming PC and console games. Although it's difficult to understand why anyone would want... Read More . Esports became legitimized over time. Even ESPN covers esports. Video game live streaming offers a fun means of broadcasting your skill or lack thereof. Additionally, there’s potential to earn an income. Because of support from the likes of Steam, Linux is a thriving gaming landscape. These Windows and console games 9 Windows and Console Games Now Available on Linux 9 Windows and Console Games Now Available on Linux "The Year of the Linux Desktop" yet to arrive, but until it does, you can play these popular PC and console games natively on your Linux OS -- no emulation or virtualization required! Read More are natively available for Linux now. 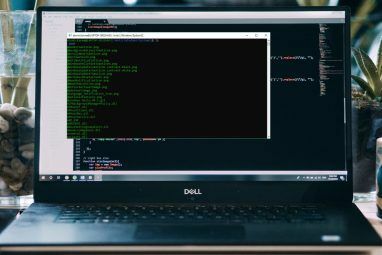 Additionally, Wine allows further Windows game installs on Linux How to Run Windows Apps & Games with Linux Wine How to Run Windows Apps & Games with Linux Wine Is there any way to get Windows software working on Linux? One answer is to use Wine, but while it can be very useful, it probably should only be your last resort. Here's why. Read More . Learn how to get started with video game live streaming on Linux! You’ll first need software to stream with. Open Broadcaster Software (OBS) is an excellent choice. It’s free, open source, and cross platform. OBS boasts Windows, Mac, and Linux compatibility. You can read more about OBS How To Live Stream Your Gaming Sessions Using Open Broadcaster Software How To Live Stream Your Gaming Sessions Using Open Broadcaster Software Live streams have become all the rage these days in the world of gaming, and with Open Broadcaster Software you can join in with your own streaming sessions for the world to watch. Read More on other operating systems and set up. Head over to the OBS Download page and select the Linux installer. 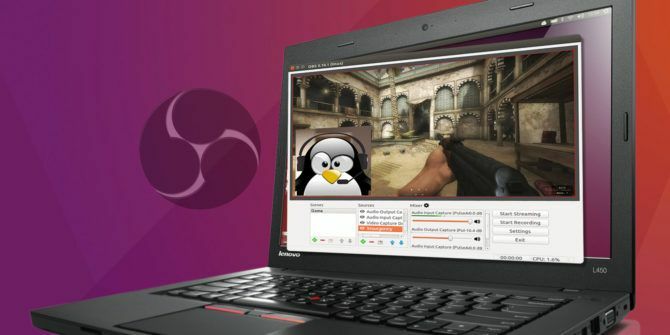 Open Broadcaster Software for Linux is officially compatible with Ubuntu 14.04 and higher. Therefore, OBS should install properly on Ubuntu derivatives such as Lubuntu and Xubuntu. Open Broadcaster Software requires FFmpeg to run. Ubuntu 15.04 includes the correct repositories for installing FFmpeg. However, Ubuntu 14.04 and below requires adding the correct PPA. Proceed with installing OBS now that FFmpeg is loaded. Open Broadcaster Software only offers official installations for Ubuntu and its derivatives. Additionally, you can unofficially install OBS on several Linux distros. These include Arch Linux, Fedora, and Manjaro. Reliability will vary on unofficial distros. Probably Ubuntu lends itself best to OBS. Nevertheless, unofficial workarounds do exist. Now you need to configure Open Broadcaster Software for video game live streaming. We’ll explore adding scenes, screens, and sources like mics and webcams. Launch Open Broadcaster Software. Look in the lower left corner of the screen. You’ll see a box labeled Scenes. Click on the + symbol to add a new scene. OBS issues a pop up that says Add Scene. There’s a box and a prompt to “Please enter the name of the scene.” I named my scene “Steam” as I’ll use this for video game live streaming from Steam. With your preferred scene highlighted, click the + symbol under Sources. Select Screen Capture (XSHM). Make sure you have Create new checked. You can give this a unique name or leave it as is. If you’re running a dual screen set up you’ll need to select the correct screen from the drop down. You can’t begin streaming until you’ve added a stream source. Select Settings and navigate to Stream. In the drop down, select either Streaming Services or Other Services. By default, only Twitch appears. However checking the Show all services box populates the Service dropdown with a bevy of options. These range from YouTube to hitbox.tv. If you’re looking for a Twitch alternative, Hitbox may be the best pick Is Hitbox The Twitch Alternative For You? Is Hitbox The Twitch Alternative For You? The good news for those negatively affected by Twitch's new policies is that it isn't the only dedicated game streaming community, with Hitbox read to take on Twitch refugees. Read More for you. Let’s begin with Twitch. Log in to Twitch.tv. You’ll need your stream key. Click on Dashboard in the top right of the screen. Select the Stream Key tab. Click the Show Key button to reveal your key. If this is the first time you’ve opened your key, you’ll receive a security warning. Hit I Understand to show your key. Copy your Twitch stream key into Open Broadcaster Software stream key box. Make sure that you’ve selected the best server for video game live streaming. This is generally the closest server to you. When you’re finished, hit OK. Since you’re set up to live stream, simply start a game. With your correct scene and source selected and game running, click Start Streaming. Under the streaming settings you can connect to a variety of preselected services. However there’s also a Custom Streaming Services tab. You’ll need a URL and stream key to enable custom streaming services in Open Broadcasting Software. I used Disco Melee, probably my favorite streaming service. It was the first service I tried and it’s intuitive to set up. Plus, Disco Melee benefits from a dedicated, passionate community. Simply enter the correct URL and stream key and click OK. Your custom streaming server settings in OBS will vary. Many gamers use video game live streaming to create a personality. For this, you’ll want a webcam and microphone hooked up so you can make your live streams more personal. Select your desired scene and click the + under Sources. Choose Video Capture Device (V4L2). Feel free to give this a name. For instance, if you have a built-in webcam and USB webcam, you can name them differently. There’s a dropdown beside Device so you can pick from different webcams. Similarly, to add a mic, navigate under the scene you’re using to Sources. Hit the + and this time select Audio Input Capture (PulseAudio). Choose the microphone you wish to use. Beside Device find your source. You should be able to pick from an internal and external mic if available. I used my Blue Yeti mic. Once you’ve added a mic and webcam, you can tweak your audio and video settings. Since my primary Linux machine is an admittedly underpowered laptop, I dialed back the video settings to encode faster at the expense of quality. This thereby reduced the number of dropped frames. For audio, you can set the volumes of your desktop audio and mic. You can also move around and resize the picture-in-picture of your webcam video. As gaming continues to blossom on Linux, so too does live streaming. 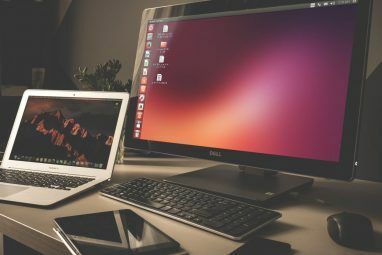 On Linux, you’ll only need a computer, free software, and some games. Webcam and mic optional. 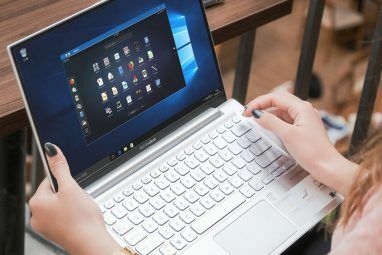 Most laptops include these features so you may not even need additional equipment. If you’re looking for more Linux video games, Steam and GOG have solid Linux libraries. The Software Center holds several great games as well. Plus, there’s always Wine and the PlayOnLinux frontend How to Play Retro Windows Games on Linux How to Play Retro Windows Games on Linux There's something so satisfying about revisiting a retro PC game, like catching up with an old friend after many years apart. But how can you play classic Windows games on Linux? Read More for running certain Windows games on Linux. Notably, you can even use capture devices run video through various sources. I successfully hooked up a Dazzle and recorded some PlayStation 2 video footage using OBS. However I was unable to load the proper audio drivers for the Dazzle. Still, there’s no shortage of capture cards so you can surely find a Linux compatible device. Now that you’re set up for video game live streaming on Linux, check out these tips to help you begin casting esports 5 Tips to Help You Get Started Casting eSports 5 Tips to Help You Get Started Casting eSports Wouldn't you love to earn a salary by playing and talking about games? Well you can, by becoming an eSports commentator. Read More . While you’re at it, try building a game server on Linux Everything You Need to Build a Game Server on Linux Everything You Need to Build a Game Server on Linux Since its inception, gaming has almost always been more fun with multiple players, a practice that has moved online. To host an online tournament, you'll need to setup your own game server, using Linux. Read More . Are you video game live streaming on Linux? Share your experience and what games you’re playing in the comments section below! Explore more about: Gaming Culture, Linux.